← Do you own or work with rabbits? 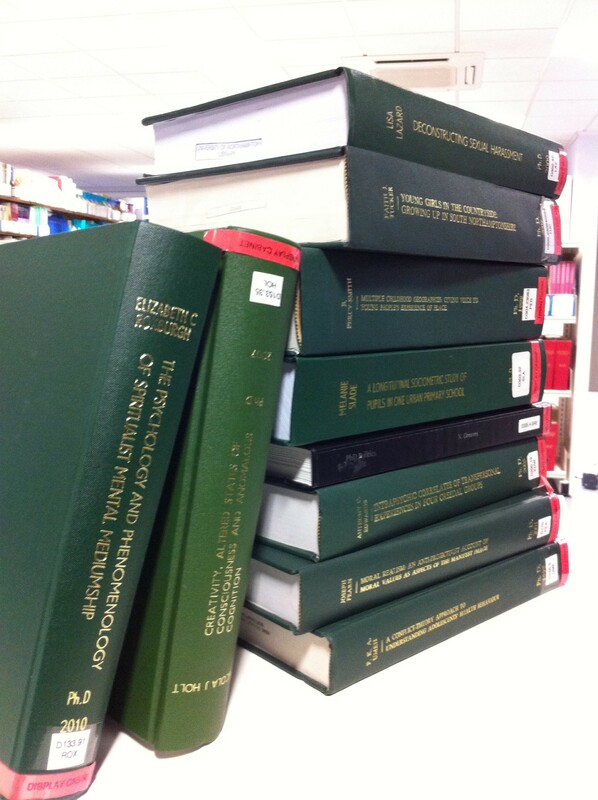 Moves to make PhD theses openly available have been particularly successful in recent years. Here in the UK, the British Library’s EThOS service now has about 400,000 thesis records dating back to 1800; 160,000 of these are now openly available in full text. Internationally, the OATD.org (Open Access theses and Dissertations) database has details of just under three million theses and the NDLTD Gobal ETD Search indexes over four million theses and dissertations (but not all are available as full text). I have listed some other sources of open access content in a previous post: Searching for open access articles. I recommend that you check these out and include those that are relevant to you in your search strategy for your literature review. Posted on October 22, 2015, in Library and tagged EThOS, Google Scholar, O2OA project, OA Week 2015, Online resources, open access, resources, theses. Bookmark the permalink. Leave a comment.